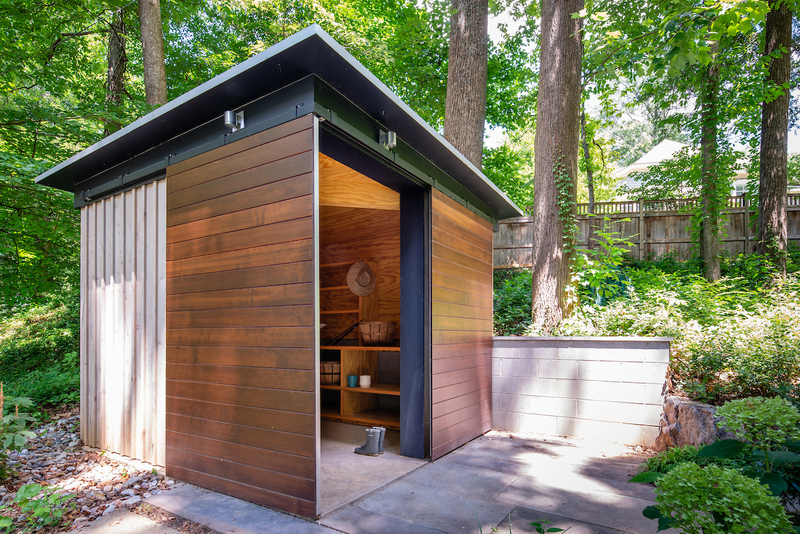 Treehouse Shed is part of a masterplan that manages stormwater, creates habitat for indigenous species, and selectively embraces trees thereby preserving the quality of the community. 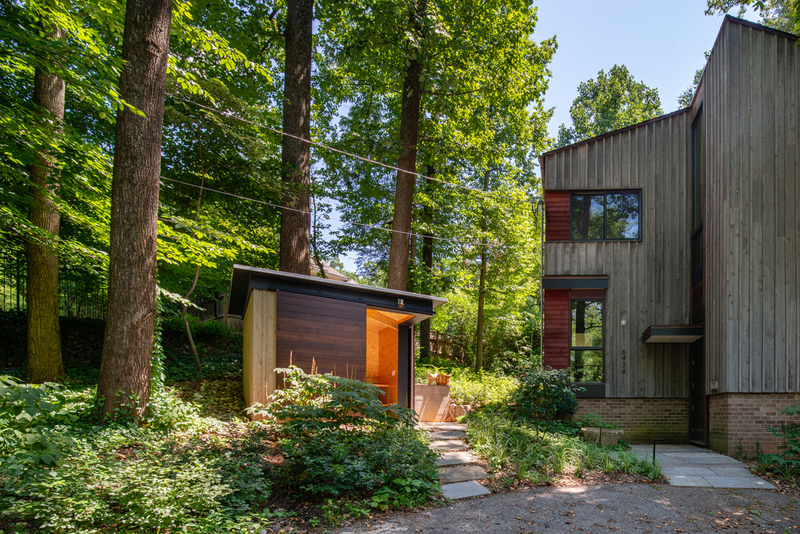 Our strategy saved the existing building, preserve the site and the existing trees contributed to the preservation of the neighborhood history. 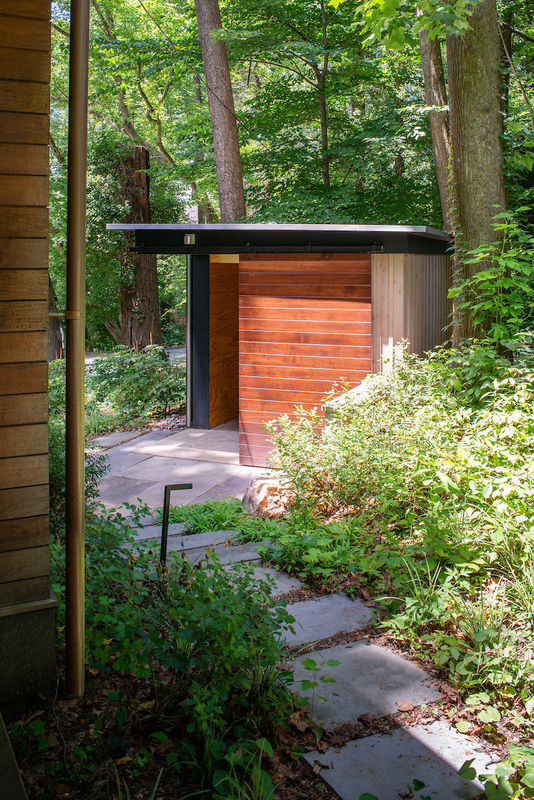 The Shed itself augments the existing building. 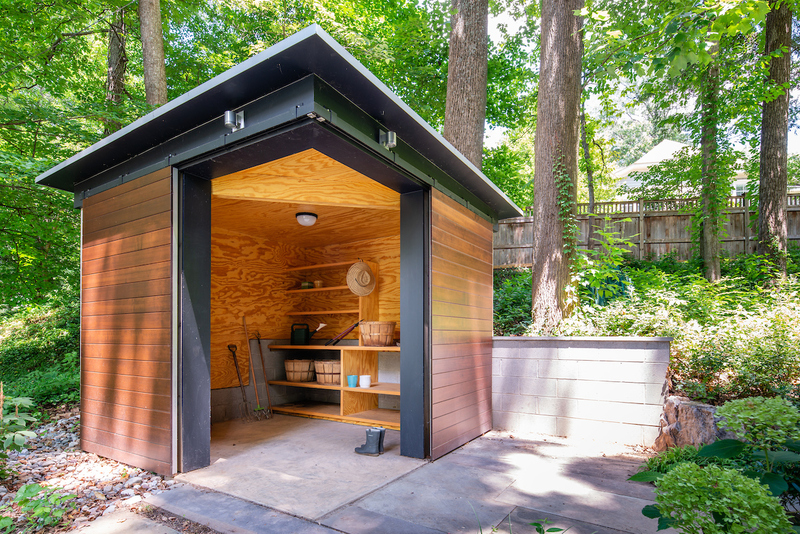 Built without a garage, and without an amenity such as a walk-out basement, the house lacked the means for practical storage of maintenance equipment and other items. 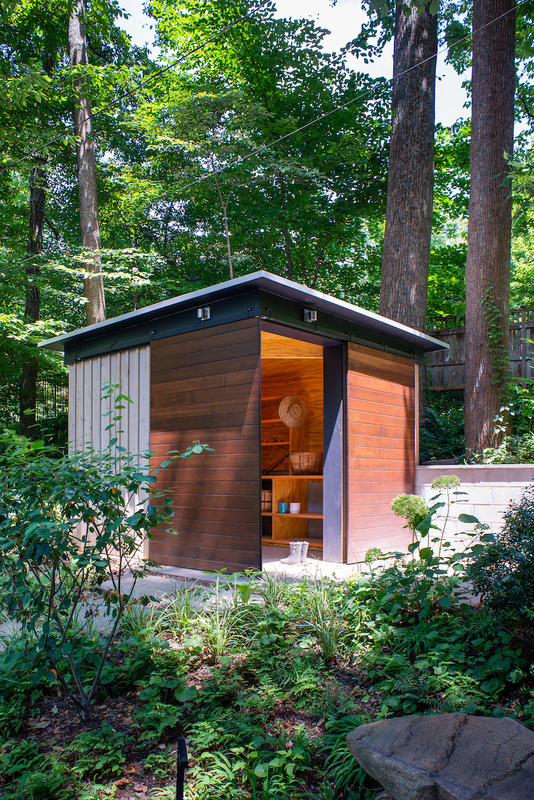 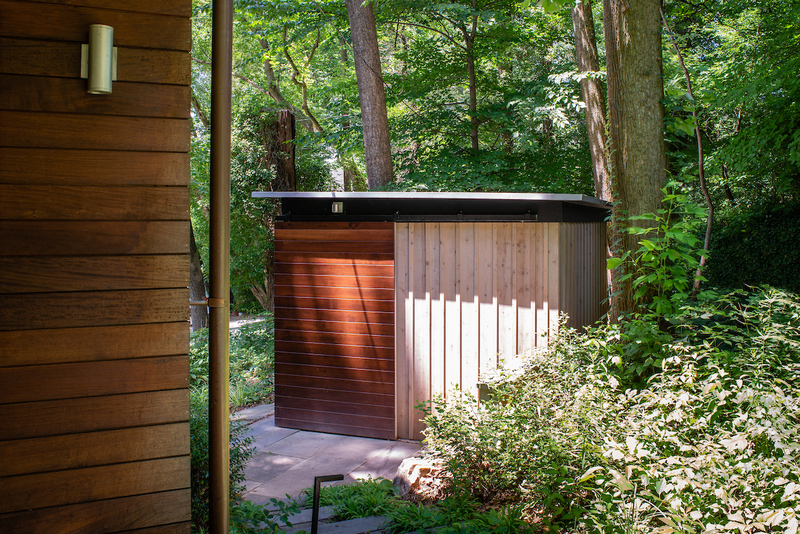 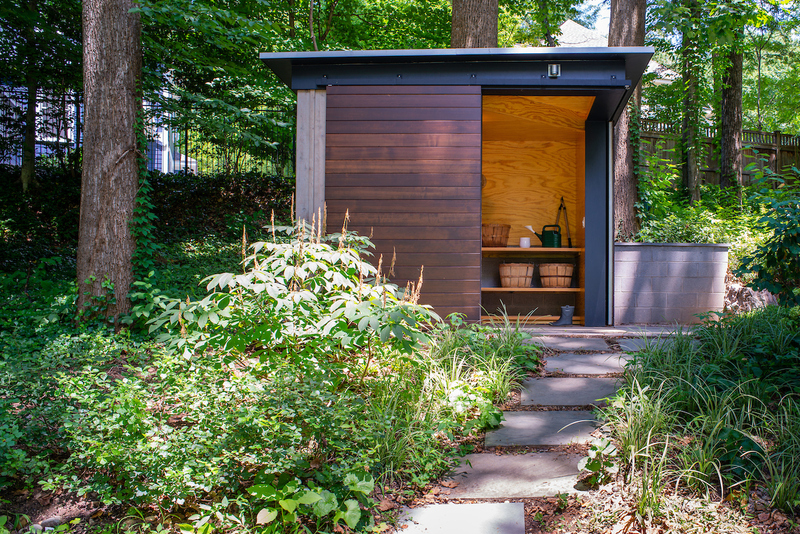 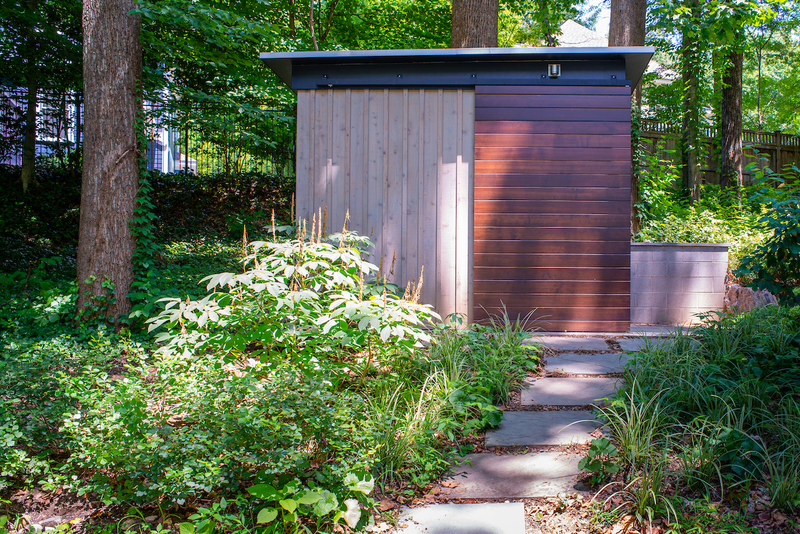 The homeowner desired a freestanding shed that would accommodate equipment such as garden hoses, tools, a wheelbarrow, and bicycles. 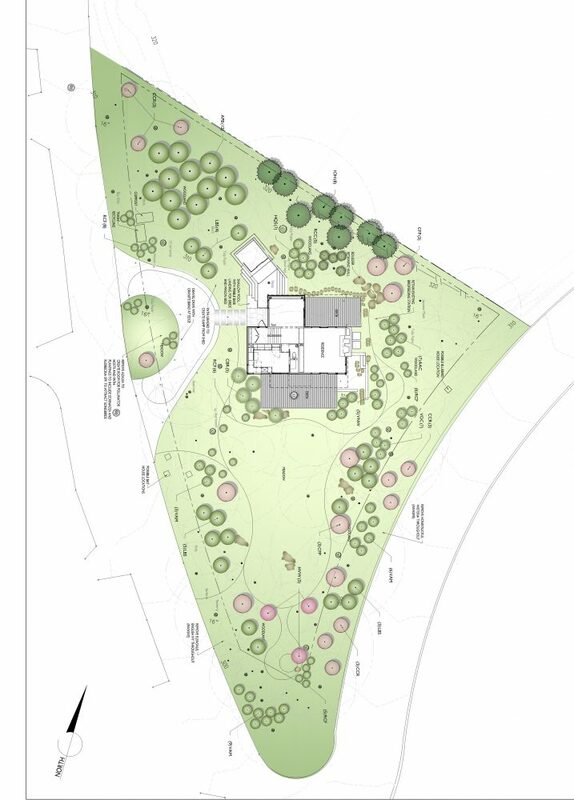 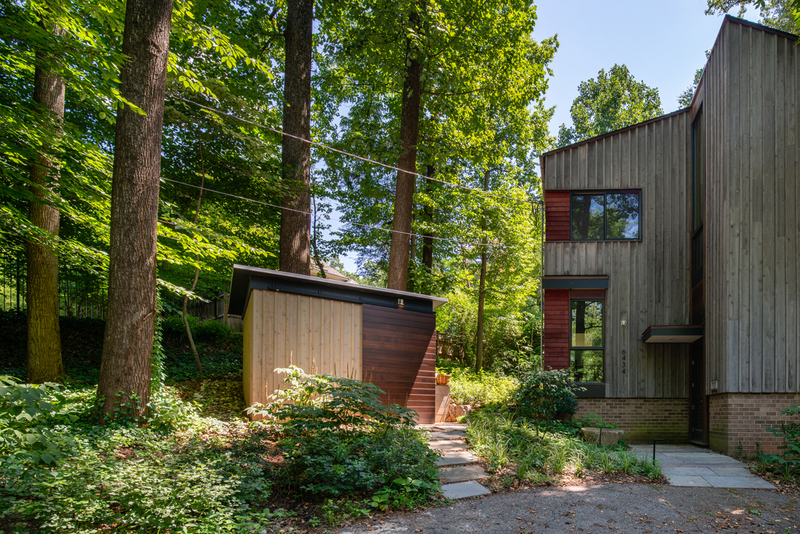 The zoning restrictions on the site were strict; combined with the topography the Shed would have to be placed in what seemed like the front yard. 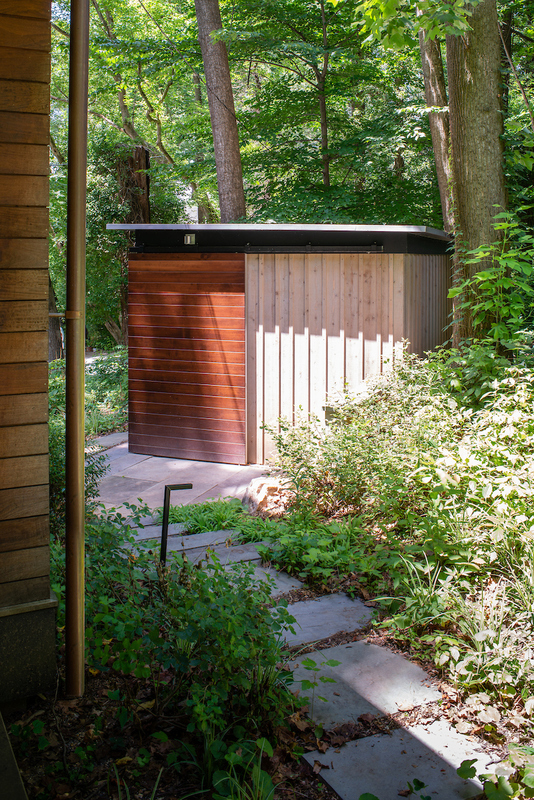 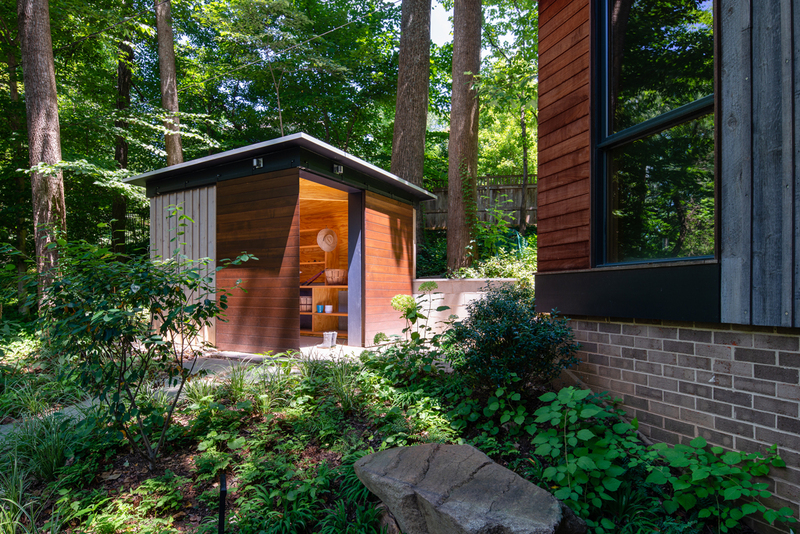 We designed the Shed to complement the house and shape an entry space. 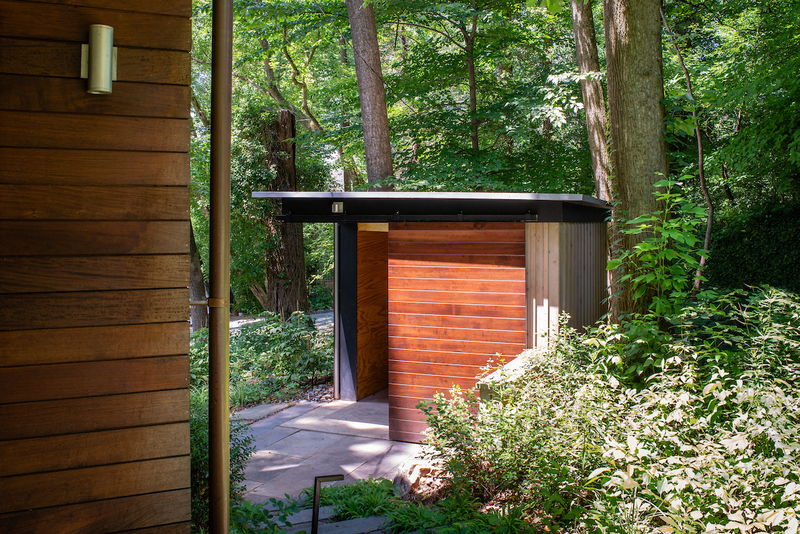 Combined with landscaping and terraced steps, the Shed is a welcoming pavilion in the landscape.